What a night of comedy we had for our last graduation show of the year. An absolutely brilliant standard of comedy. This course sold out in record time and the enthusiasm from each of the students was fantastic. The most common bit of feedback I heard on the night was, “They’re all just so different.” And they really were in style, age, backgrounds and content. A true international flavour too with Welsh, Bulgarian, German, Scottish and of course the English. I look forward to seeing what this talented lot do next. 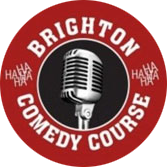 If you would like to watch their gigs please go to our Youtube channel Brighton Comedy Course. Here’s one to get you started. Booking now for the next beginners course on the 13th February 2018. 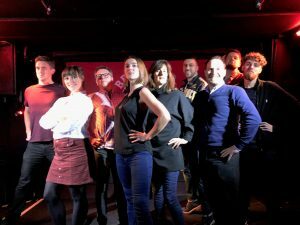 For now thank you to all my fantastic students who have came on the Comedy Courses and the Public Speaking courses this year. It’s been a real pleasure. Merry Christmas and wishing you all much laughter and confidence in 2019.